The Ring Slit Washer (RSW) wet gas scrubber is used widely with various dust collection devices, including its use for cleaning the gas emitted by blast and converter furnaces. 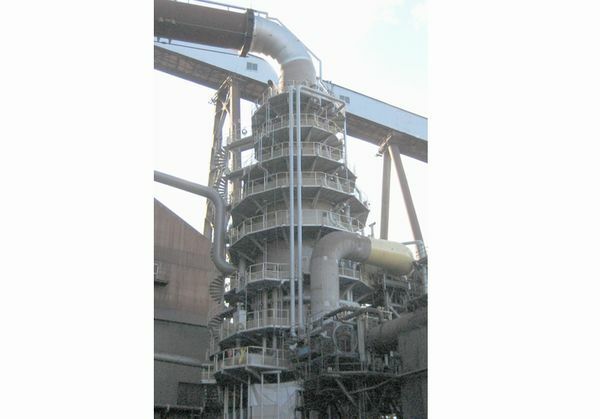 In addition to a dust collection function, RSW (Ring Slit Washer) has a function to control the top pressure of a blast furnace with a built-in RSE (Ring Slit Element). Therefore, this system does not require septum valves, and can realize facility cost reduction. 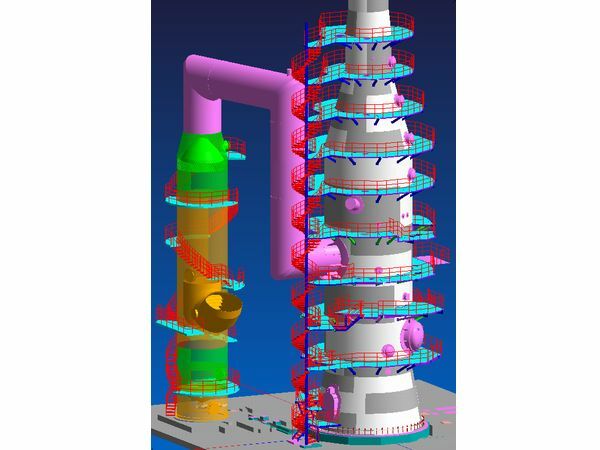 Furthermore, combined with a TRT(top pressure recovery turbine ), this system can generate high efficiency power by blast furnace top gas pressure. The RSE is raised by a hydraulic cylinder, and a hydraulic oil room is installed near the RSW. If a customer requires only the dust collection function, hydraulic oil room becomes unnecessary by adopting an electro-hydraulic hybrid system, and it can be reduced a construction cost. The electro-hydraulic hybrid system is a system where a hydraulic cylinder is directly operated by adjusting the forward and reverse flow of an inverter motor type hydraulic pump, and whole hydraulic power unit is stored in the lower part of a RSW main unit. 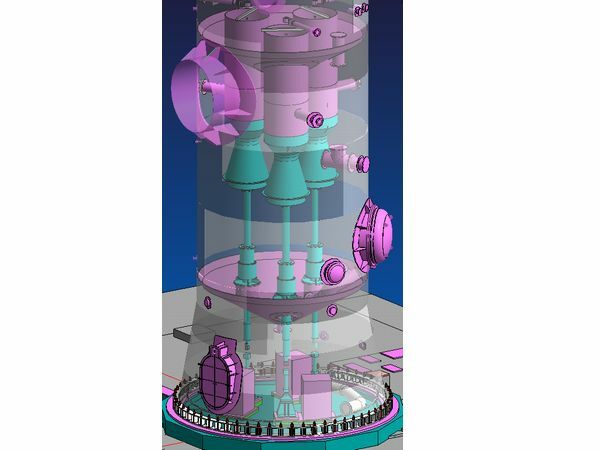 The RSW jointly contains an auxiliary spray tower-type scrubber in its upper part and a variable throat-type venturi scrubber called RSE in its lower part. An axis flow mist separator is installed in the downstream to separate air and liquid. In this way, this system realizes the dust content at the outlet of the system of 5 mg/Nm3 or lower. Achieved excellent dust collection performance with its low load differential pressure and liquid-gas ratio. The load differential pressure is 30 kPa, and the dust content at the outlet of the RSW is 5 mg/Nm3 or lower. 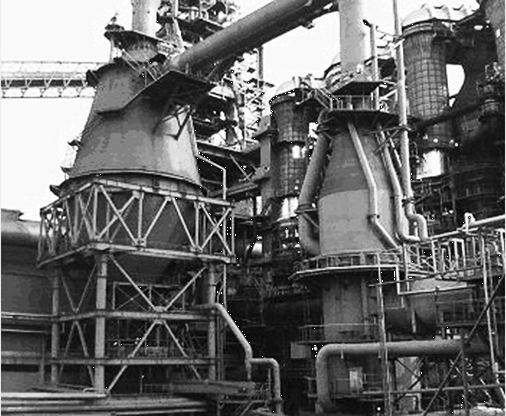 Realized excellent blast furnace top pressure control performance. Adopted Steel Plantech’s unique large diameter hollow cone spray nozzle.